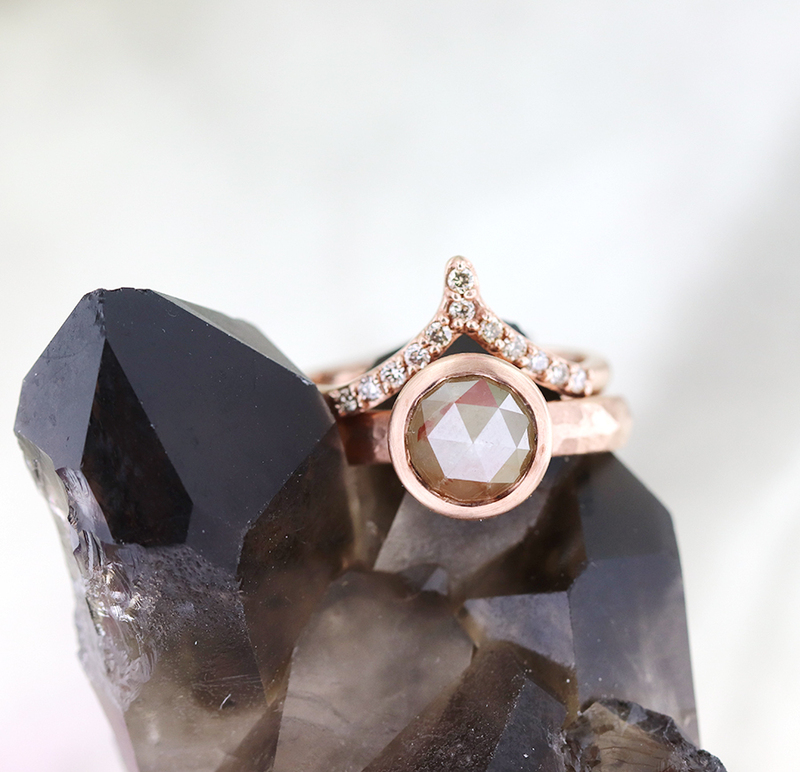 Aimee Kennedy Fine Jewelry — The Wedding Co.
A custom, bespoke jeweller specializing in alternative bridal using ethically sourced gems and 100% recycled gold. I've always been a creative. I took a metal smithing course for fun while I was working as a designer in the advertising industry... I got hooked and the rest is history. It's a celebration of love! Clients often come to me when they are being turned away from conventional shops. I can find the special gemstone or metal to make your perfect piece. Bold design, heavily influenced by antique style. I've got a great collection of contour and tiara bands which are perfect to stack with any style of engagement ring. I also have some fun bands for men who want a bit of sparkle. Find out more about Aimee Kennedy Fine Jewelry on her Instagram Page.